Brexit is only eleven days away unless something happens at the last minute, so now is the time for us to get out on the streets and make our voices felt. 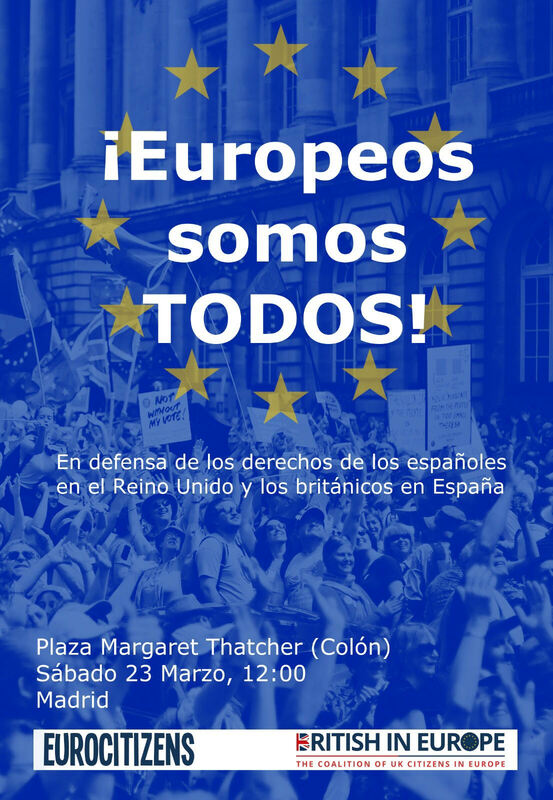 On Saturday, we are organising our very own demonstration in central Madrid (12h Plaza Margaret Thatcher, Metro Colón/Serrano). Our aim is to support the third March for a People's Vote in London, because staying in the EU is the best way for us to keep our existing rights. We will also be asking for the ring-fencing of the citizens' rights part of the Withdrawal Agreement, to give legal protection to the five million Europeans in the UK and Britons in the EU. We have permission for the demonstration and a lot of work has been done by a small group of volunteers. At the event, there will be two or three short speeches, a link-up with London, a video about EuroCitizens, poems, music and fun activities for children and adults. - come along dressed up in blue and yellow - you can even paint your face and wear a wig! Please share this information with as many people as possible. We look forward to seeing you this Saturday in La Plaza Margaret Thatcher! 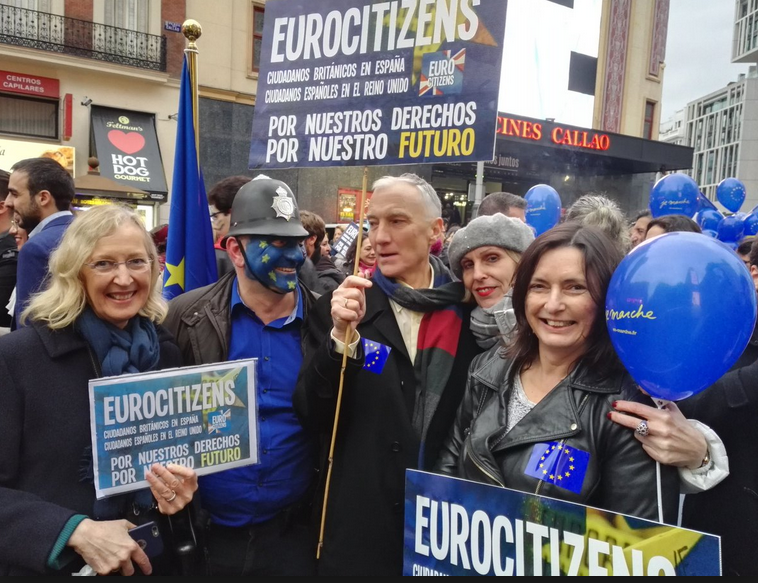 EuroCitizens demonstrating in Callao in April 2017. It seems like a long time ago!